Tim Armstrong and Jamaican Dancehall star Tippa Lee have launched a new project. It's called The Landfill Crew. The lineup is Tippa Lee - Lead Vocals; Tim Timebomb - Vocals / Guitar; Kevin Bivona - Bass / Background Vocals; Dash Hutton - Drums / Background Vocals; John Morrical - Piano / Melodica. The band has just released a double 7-inch EP via Pirates Press records. 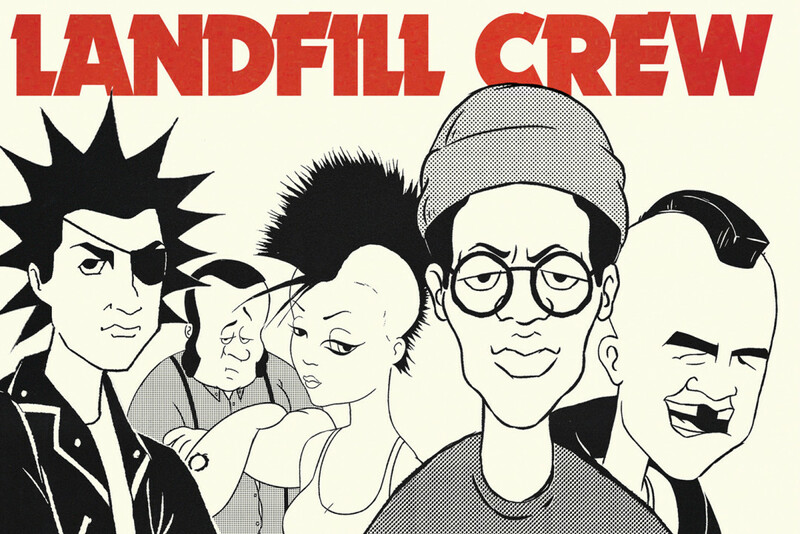 Armstrong described the project, "The Landfill Crew is a fictional animated punk rock band set in the 1980’s. I play one of the characters named Bagga and my friend Tippa Lee plays the character Hux. Tippa Lee is one of my favorite Jamaican vocalists that has been recording reggae music in Kingston since the early 80’s. J Bonner animated the videos and helped develop the characters. Hope you guys enjoy this 4 song EP it as much as we do." You can see two animated videos below, right now.